Modern ventilation and environmental management vary from very simple to very sophisticated automated systems. Sun-North manufactures Shepherd electronic controls and power drives ranging from complete natural ventilation to dual ventilation (using both natural and fan power). Sun-North has over 25 years of experience in designing and providing controls that create the ideal stress free rearing environment, allowing your animals to reach their optimum genetic potential. 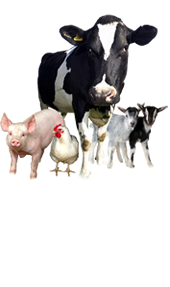 Energy management (conservation of electricity and gas) has become absolutely essential for successful and profitable animal husbandry. All too often barns are over ventilated during cold periods and under ventilated in hotter times. Sun-North's controls can give you peace of mind knowing that their controls will sense sudden temperature swings, strong winds, heavy rains and then adjust automatically.